201. Miyake, Akiko, Sanehide Kodama, and Nicholas Teele, eds. 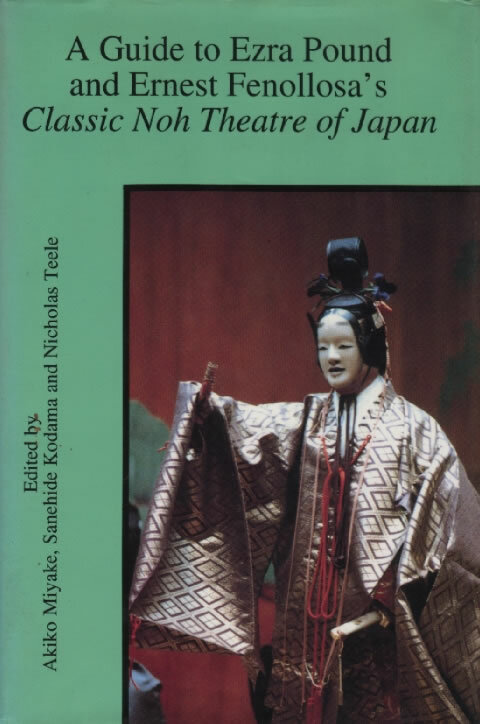 A Guide to Ezra Pound and Ernest Fenollosa’s Classic Noh Theatre of Japan. Orono, Maine: National Poetry Foundation, 1994. This comprehensive guide to the Hirata / Fenollosa / Pound nô translations is indispensable to further discussion of the subject. Painstakingly compares Pound’s final versions of each play with Fenollosa’s unpublished drafts and notebooks, and reproduces Fenollosa’s original notes and ‘rough’ translations from which Pound worked, most of them published here for the first time. Includes for each play thorough notation of sources, invaluable ‘notes for readers’, and exhaustive glossaries of Japanese subjects. The long opening essay, ‘Ezra Pound and Nô’, incorporates Miyake’s earlier work (191) and provides the best account available of how Pound’s work with the manuscripts is consistent with his lifelong concerns, and how reverberations from the nô inform The Cantos. Individual sections about the relation between particular plays and The Cantos follow Miyake’s insights and are particularly valuable. These include studies of the relation between The Cantos and Hagoromo (Sachiko Yoshida, see 13d), Sotoba Komachi (Miyake, see 17c), Kayoi Komachi (Miyake, see 17d), Suma Genji (Toshikazu Niikura, see 17e), Kumasaka (Hiroko Uno, see 17g), and Aoi no Ue (Miyake, see 22). Includes as well a section on Yeats’s introduction to Certain Noble Plays (BL11), with ‘Notes for Readers’ by Richard Taylor (see especially BL180) and a thorough glossary by Miyake, a section on the Fenollosa manuscripts at Yale (see 90a) that Pound did not incorporate into his nô material, a valuable bibliography of criticism in English and Japanese, and a reprint of Fenollosa’s ‘Notes on the Japanese Lyric Drama’ (D10b). See also 89.